Documentary will screen at Mill Valley Film Festival in October. 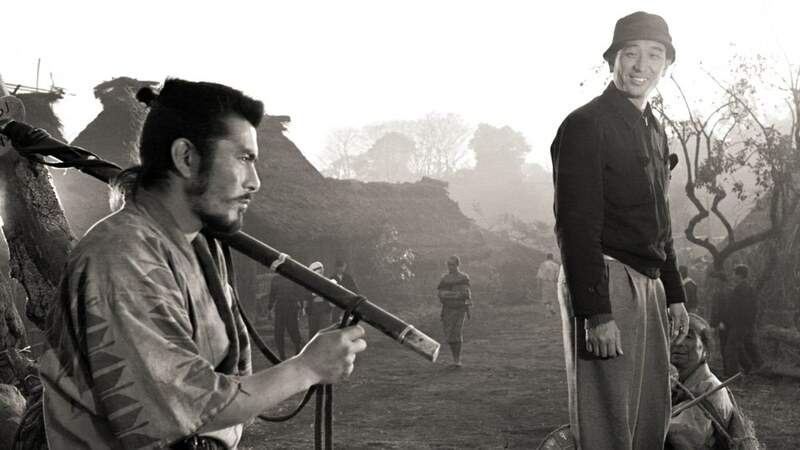 Koji Tsuruta and Toshiro Mifune in a scene from “Samurai Trilogy,” directed by Hiroshi Inagaki. Steven Okazaki’s “Mifune: The Last Samurai” will have its world premiere at the 43rd Telluride Film Festival from Sept. 2-5 in Telluride, Colo.
Its European premiere will be at the 60th BFI London Film Festival, Oct. 5-16; followed by the Mill Valley Film Festival, Oct. 6-16; Film Fest Gent, Belgium, Oct. 11-21: Kyoto International Film & Art Festival, Oct. 13-16; Sao Paulo International Film Festival, Oct. 20-Nov. 2; Hawai’i International Film Festival, Nov. 3-13. See festival websites for screening dates and times. Toshiro Mifune (1920-1997) was the most prominent actor of Japan’s Golden Age of Cinema in the 1950s and ’60s. He appeared in nearly 170 films, but his most compelling work was with director Akira Kurosawa (1910-1998), with whom he made 16 films. Together they created enduring works of art — “Rashomon,” “Seven Samurai,” “Throne of Blood,” “Yojimbo,” “The Bad Sleep Well,” “Red Beard” — that thrilled audiences and influenced filmmaking around the world. Without them, there would be no “Magnificent Seven,” Clint Eastwood wouldn’t have “A Fistful of Dollars,” and Darth Vader wouldn’t be a samurai. 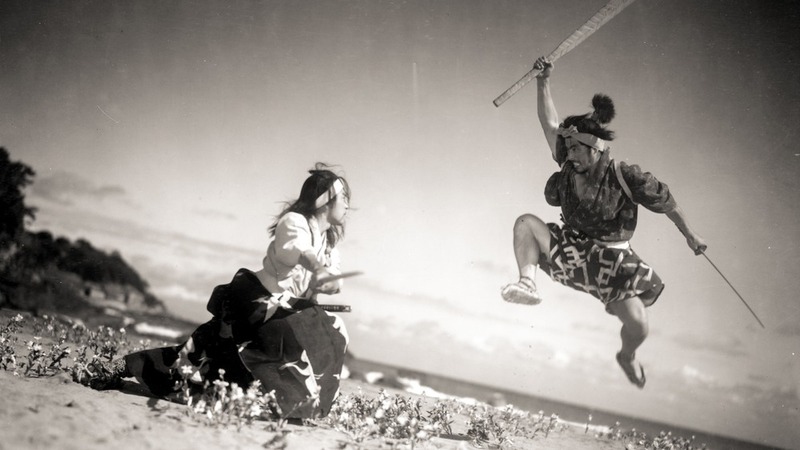 Just as John Ford and John Wayne elevated the American western, exploring the human side of America’s violent expansion, Kurosawa and Mifune transformed the chanbara film, the period sword-fighting movie, into bold, provocative narratives that pushed beyond the boundaries of the genre and examined the role of the individual in society. Mifune — wry, charismatic and deadly — was the first non-white action star to attract international attention. “Mifune: The Last Samurai” explores the evolution of chanbara movies; Mifune’s World War II experience; his accidental entry into moviemaking; and fortuitous collaboration with Kurosawa. The film is narrated by actor Keanu Reeves (“The Matrix”); directed by Academy Award-winning filmmaker Okazaki; and produced by Toshiaki Nakazawa (“13 Assassins” and the Academy Award-winning “Departures”) and Toichiro Shiraishi. It focuses on six of Mifune’s greatest films and features interviews with Steven Spielberg, Martin Scorsese, Teruyo Nogami (Kurosawa’s longtime script supervisor), Kyoko Kagawa (“Red Beard”), Yoshio Tsuchiya (“Seven Samurai”), Takeshi Kato (“Throne of Blood”), Yoko Tsukasa (“Yojimbo”), and many others. “I look for compelling stories and a challenging creative experience,” says Okazaki, whose film subjects range from heroin addiction to dairy princesses to Hiroshima. He is the recipient of numerous honors, including an Academy Award, four Academy Award nominations, a Primetime Emmy, the George Foster Peabody Award, the Plus CameraImage Outstanding Achievement Award, and the City of Hiroshima’s Honorary Citizen Award. His films, produced for HBO, PBS and NHK, are explorations of the extraordinary lives of ordinary people caught up in dramatic historical events and troubling social issues. Okazaki won the Oscar in 1991 for “Days of Waiting,” the story of artist Estelle Ishigo, one of the few Caucasians to be interned with Japanese Americans during World War II. He was nominated in 1985 for “Unfinished Business,” the story of three Japanese Americans who challenged the incarceration of their people; in 2006 for “The Mushroom Club,” a personal reflection on the 60th anniversary of the Hiroshima bombing; and in 2009 for “The Conscience of Nhem En,” which tells the story of a 16-year-old Khmer Rouge soldier who photographed 6,000 men, women and children before they were tortured and executed. He received the Emmy for “exceptional merit in non-fiction filmmaking” for “White Light/Black Rain,” a comprehensive and vivid account of the atomic bombings of Hiroshima and Nagasaki, which premiered at the 2007 Sundance Film Festival, was broadcast on HBO, and won the Grand Prize at the Banff World Television Festival. 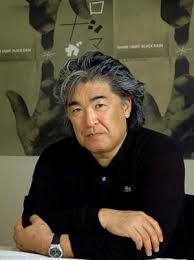 Born in 1952, Okazaki grew up in Venice and graduated from San Francisco State University’s film school in 1976. He studied painting, played in mediocre punk bands (including The Maids) and was featured in a Gap ad, before getting serious about making films. He lives in Berkeley with his wife, writer Peggy Orenstein, and daughter. For more information, visit www.farfilm.com.